Day four at Finca Esperanza Verde (FEV) began with a wonderful, local breakfast, presented beautifully. 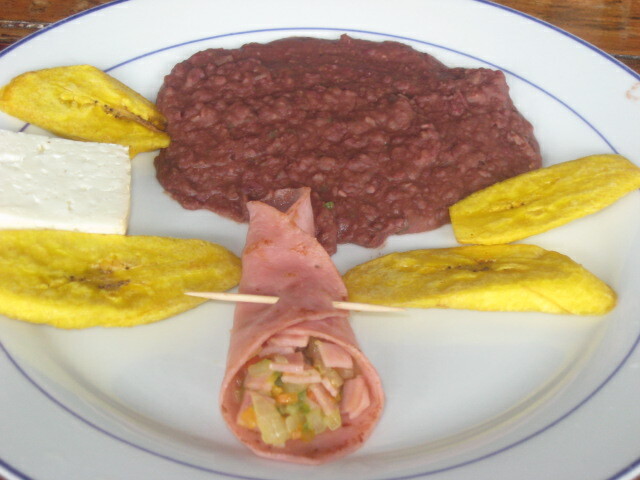 The traditional gallo pinto, along with fried plantains, ham salad rolled in a sliced of ham and a slice of local cheese. 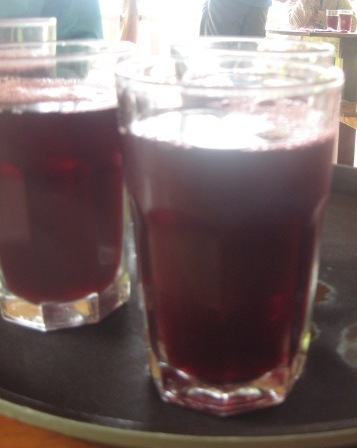 With a glass of fresh Jamaican flower juice, hot cup of FEV coffee and fruit, we were fueled for a full morning of activities with local children coming to FEV. The children were to arrive at 9 a.m. but the skies were dark and it was raining. Nothing. My travel companions from ERUUF were prepared to do paper crafts, games, and musical activities. Would the children even go out in these conditions. Oh ye of little faith! These children, and their parents, are strong. They are used to the rain, the muddy conditions and walking miles (truly uphill) to reach their destinations. Before long, more children arrived on foot, many wearing their much-needed rubber boots, others in street shoes. 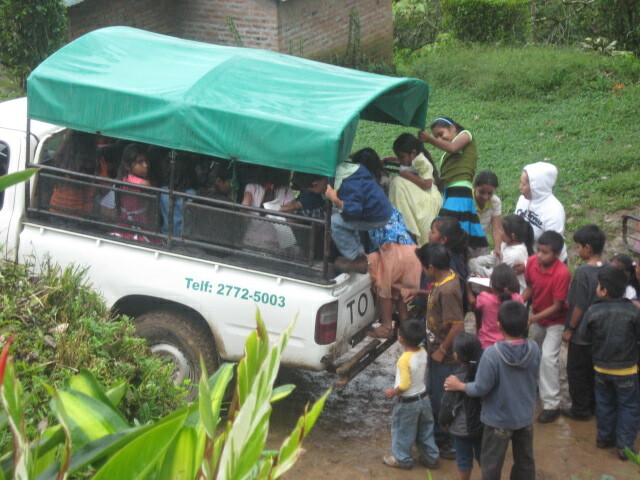 After almost two hours, a truck full of children arrived, hitching a ride from a local driver. We hustled around to assure that we had activities for the 85+ children that were our guests. Activities included multiple paper crafts, games, music (bells, musical chairs) and more. 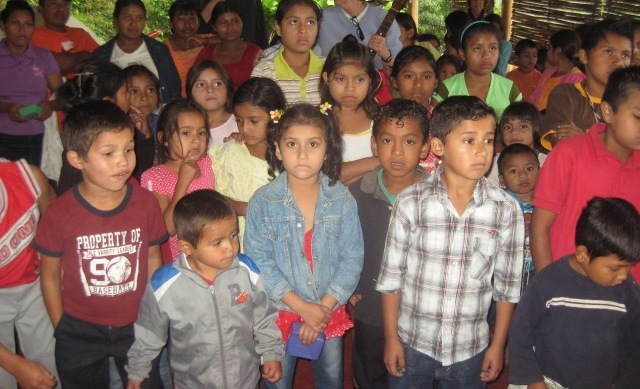 The children were anxious to participate in all of the activities as were their parents. The FEV staff prepared sandwiches and drinks for each guest that joined us for their long walk home. For the final 35 or so, a local pickup provided transportation back down the long road. This would never happen in the States. We watched in amazement as the parents, and perhaps teachers, jammed about 35 children in the back of the pickup to return home. Reflecting on the morning, I admired the children for their respectful and patient behavior. Their parents were kind and supportive. Would our children in the States spend their summer holiday walking miles to visit strangers to partake in a morning of crafts and art? These families have so little in material things yet are so rich in community and family. Perhaps the greatest souvenir from this trip will be gratefulness and admiration of the Nicaraguan people of Managua.